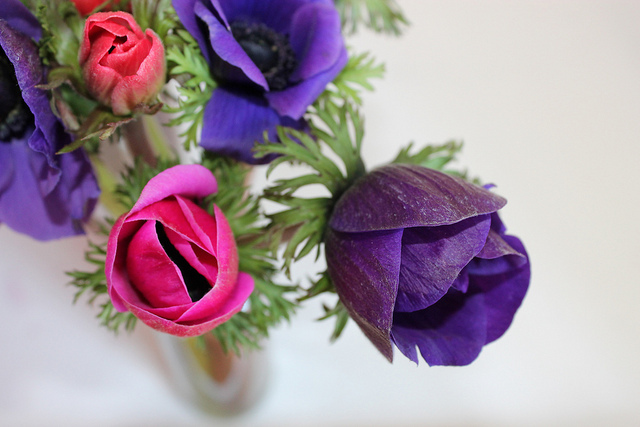 I bought these pretty anemones from our local greengrocers yesterday. It was Elizabeth that spotted them and wanted to pick a bunch out and of course Archie had to have some too. I love how he smells the flowers - sniffing out rather than in. They are now sitting on the shelves in our living room in some jars I had saved. 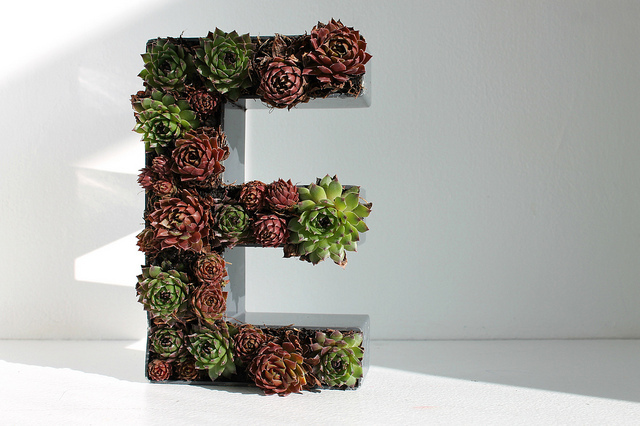 I also had a go at making this sign letter filled with little succulents. I had seen something similar on Pinterest from here and as I had a bag full of letters in my shed I thought I would give it a go. 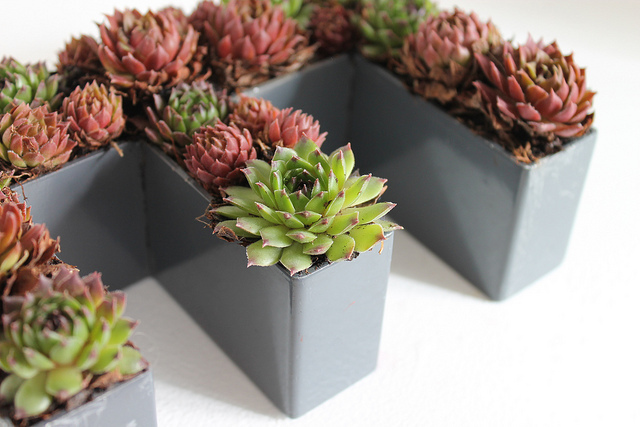 I think it would have looked better with a few different types of succulents and some different colours though! I also have a couple of massive letters which I have been waiting to do something with and I'm thinking they would make great planters for the garden. Linking in with Lou of little green shed and her nature in the home series. La E es una preciosidad, super original. oh very lovely, that letter is cool, exciting to see what happens when they grow. That is such a good idea. I shall have to keep my eye out for letters like that, it's a sweet effect I'd love to recreate! Oh, anenomes are my absolute favourite! Love those colours. Anemones are just so glamourous, I always think! oh ever so gorgeous flowers! love the succulent planter as well. so so perfect! 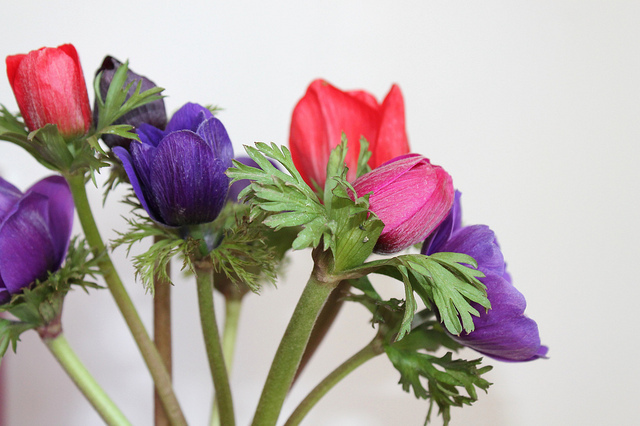 How lovely to find anemones in you local shop. I adore them but you hardly ever see them for sale. I tried to grow some once, but it didn't work so well. Gorgeous displays. That succulent filled metal letter is inspired! I love love love the Succulents idea! So pretty. 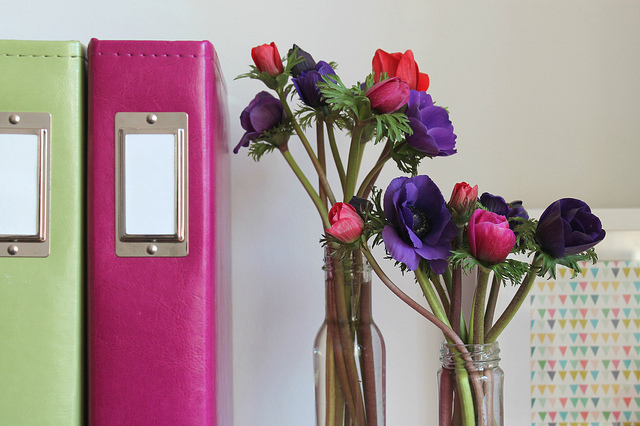 That succulent E looks fabulous, & anemones are beautiful, love the colours of yours. Love that E !! , look fantastic!!! !